When it comes to Super Mario Bros spinoffs, I’ve always been a Paper Mario girl. I’ll take that franchise over Sunshine, Mario & Luigi, and New Super Mario Bros any day of the week. 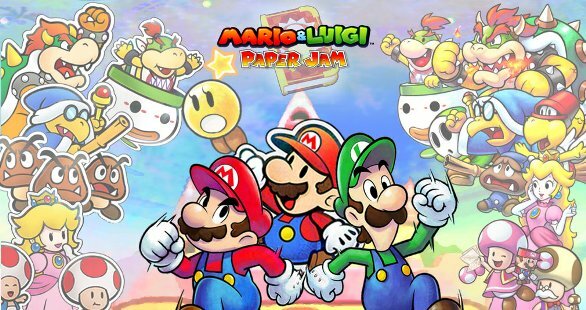 It was due to my love of Paper Mario that I decided I needed Mario & Luigi: Paper Jam in my life, and after spending 45+ hours in this 3D world, I have thoughts. Many thoughts. First of all, poor Luigi. The guy does his best to be helpful but somehow ends up knocking loose a book containing Paper World, unleashing every paper toad, guy, and Bowser. Now he and Mario need to scour the Mushroom Kingdom in order to collect every scrap and get them home safely. But this is a Mario RPG, and things never go that smoothly. Early on, our adventurous brothers run into that rascally Nabbit who absconds with several of their battle and map actions. As you progress through Paper Jam, opportunities arise in which the Bros give chase and earn back new moves to help them clear new obstacles. One of my favourite combo battle moves comes from catching this sly minion, requiring Mario and Luigi to work in tandem and tests your hand-eye coordination as you lob bombs at your enemies. Eventually, the Princesses Peach find themselves in the same old predicament as always (seriously, they even comment on how it’s “that time in the story”, because even they know it’s a tired, played-out plot device at this point). The Bowser Jrs flee with the ladies and thus add “Rescue the Princesses” to their To-Do list. 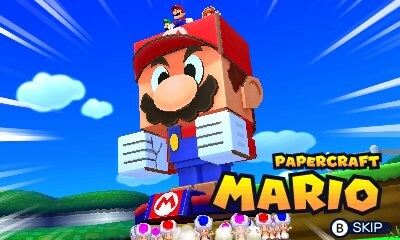 The real hero of Mario & Luigi: Paper Jam is Toadette. She rallies the collected Paper Toads to help her create the Papercraft battle horses used in several mini-boss battles. This lone female toad is always positive, not afraid to venture out on her own, and has some of the best dialogue. Let’s talk papercraft. This is one of the new mechanics in Paper Jam and I absolutely loved these battles. 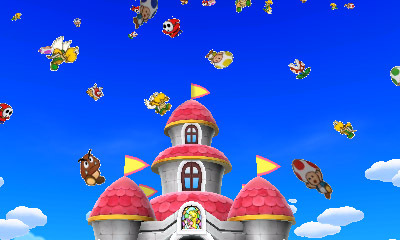 Each battle features a new giant Mario ally, atop which your three heroes ride and command the Toads carrying you. Most battles require knocking your opponent off balance (dashing away at the right time works, too) and launching your papercraft to attack. There are Toad pads on the ground to recharge your energy, which is a musical mini-game in and of itself. If your health is running low, take a look around for a ? block, which will reveal a paper mushroom when bashed. Battle cards were another new mechanic for me to work with. Working with decks of 10 cards, each turn reveals a new card which can be used at the start of each Bros turn, so long as you have the required amount of Star Points to activate them. You can buy cards from the shop or earn them in battle from the occasional drop. Ones that are super helpful are the ones that lower Koopa Jrs and Bowser levels. I also made sure to have HP restoration cards handy in my deck. 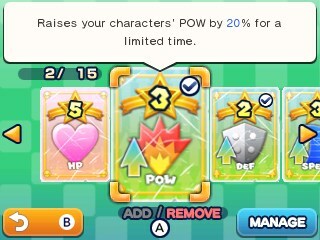 You can also create cards with your amiibos using special cards purchased by a Toad not behind the shop counter (or earned as battle drops). Unfortunately, I don’t have a New 3DS XL or the NFC reader so that was a feature I have not tested out. 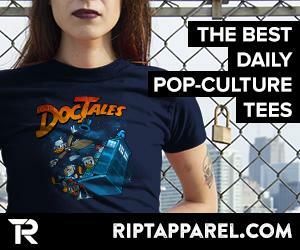 But at the end of the day, if the story isn’t up to par, it can make the game drag. Which is sadly the case with Paper Jam. It lacks the fantastic humour I’ve come to expect from my exploits with Paper Mario. Instead, there are far too many Toad collecting sidequests, some of which caused bouts of rage quelled only by ingesting handfuls of chocolate and taking a breather from the game. 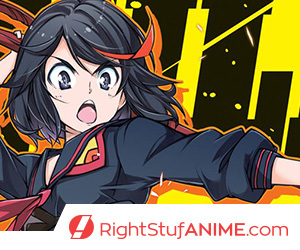 To be blunt, the story is flatter than Paper Mario. If you’re a huge fan of either the Paper Mario or Mario & Luigi RPG series, I suggest waiting for this one to go on sale before picking it up.